Cloud vs local backup - how to choose the best option? 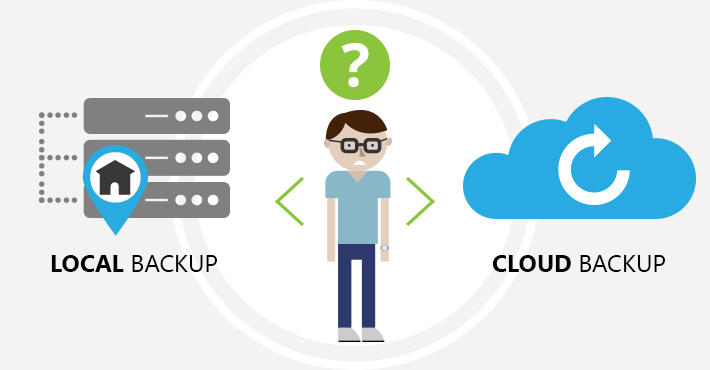 Cloud vs local backup – which one is better? Encryption and password protection – which make it secure even in case of an internally-sourced attack. No third-party involvement at any point – which means you do not have to worry if your providers abide by the legislation that applies to your data. No impact on users – you set it up, and all or chosen data is backed up according to the schedule. Users do not even have to know there is a backup software working. Easy-to-use search tool – No matter if you need to find all data relating to a customer, or if you need to collect data relating to a litigation case, you can easily find and restore the required data to the location of your choosing. Support for Office 365 MFA – CodeTwo backup solutions support Office 365 multi-factor authentication. Thanks to that, you can use CodeTwo Backup for Office 365 while protecting your tenant with strict authentication policies.